Silvermark values the community that has allowed our company to see success for multiple generations. Our current, most passionate initiative is reconstructing the Sonoma & Napa Communities that were tragically affected by the wildfires. Being that we are the largest building firm in the area we want to allocate our resources to overturn the destruction of 8,000 homes lost. We are currently constructing 200 new homes for local families who have felt the tragedy of a home loss and our focus will continue in building more. Silvermark Luxury Homes is a family-owned & operated company with a passion for creating a beautiful space that reflects the needs of each individual client. With over 100 years of experience, we vow year after year to stay true to the principles our company was founded on - Innovative Designs, Craftsmanship, Elegance & Lasting Value. At Silvermark Luxury Homes your necessities come first. Our process begins with questions that ensure the end result is cohesive with the functionality of the life you want to share in your home. Once your vision is crafted, we formulate a plan that involves open communication and collaboration. Design Everest Consulting Engineers, is a leading provider of structural engineering services for residential & commercial construction. No project is too small or too big for us. We have successfully completed over 1000 projects across California since 2005 - on time, on quality & on budget! With Design Everest as engineering experts, you can be assured of safe, code-compliant & cost-effective residential or commercial structures. What makes us special and #1 ranked by our customers? Deep engineering and design expertise Our structural engineering knowledge is extensive & we work on a wide range of projects including, but not limited to, custom homes & remodels, apartment buildings, condominiums, townhomes, office buildings, shopping centers, parking structures, restaurants, individual retail stores & warehouses. Our customer success model and our unique customer success approach to design and engineering: At Design Everest, surpassing our clients' expectations is our highest priority. We provide our engineering services using the marketplace model: happy customers are the foundation of a healthy business. Maintaining a strong relationship with our clients & providing a simple, seamless experience is as important to us as delivering high-quality services. To achieve this, our team of customer success managers ensures that each client has an active role in the completion of their project & receives the value they expect from the services we provide. Over a decade of extensive experience all through out California: In business since 2005, and with offices located in San Francisco, Mountain View, Folsom, Los Angeles & San Diego, we provide our services throughout California. Design Everest has a team of twenty-five licensed, engineers, and drafters. The delivery of structural engineering services has remained relatively unchanged for decades. Although Design Everest uses the same engineering practices that have always been used, we've reinvented how these services are delivered through supplier & project optimization with data analytics. By working with Design Everest, you'll be taking part in a new era of high-quality engineering with superior value in terms of cost & schedule. We support homeowners with comprehensive structural engineering services. James McCalligan architects is dedicated to bringing the highest level of design and personal attention to every client. Viewing inside this website will reveal a wide range of work demonstrating the ability to develop strong themes appropriate for our clients needs and their specific site conditions. We encourage you to contact our references for a first hand opinion of the experience of working with James McCalligan Architects. Your comments about our website and our work are appreciated. LEFF Construction Design Build - Celebrating **40 Years** in Sonoma County. Founded in 1978 by David Leff, the company established itself as an early adopter of green and sustainable building processes when it built the first solar multi-family project in Cotati, California. During the 1980’s, David and his father Irwin Leff continued to develop and build environmentally responsible and resource-efficient residential subdivisions. At the same time, they began to increase their focus on building and remodeling for local homeowners. This re-direction brought with it a new set of challenges: how to help clients discover the underlying problems with their home and then design and build a beautiful and functional solution in the most time-efficient, cost-effective and stress-free manner. Meeting this challenge over many years is what has formed the Leff Design Build process and defined their core mission: to make every project a superior client experience. With a ‘one-point-of-contact’ approach, all points of communication and responsibility rest with the Leff team of architects, designers, estimators, project managers and field crew. The team welcomes every client and includes them as an essential element of the process. Communication and accountability between all parties is transparent and consistent. The result: a custom project delivered on time and on budget, and very happy clients. Decades later, Leff Construction Design Build enjoys its nationally recognized reputation for award-winning, whole-home remodeling and new home projects. From historic restorations that preserve existing materials, to new home designs that achieve zero-net energy, LEFF continues to integrate sustainable principals with new technologies that produce beautiful, functional homes that perfectly reflect their owner’s lifestyles. Amy A. Alper, Architect is about to celebrate the 14th Anniversary of her practice, focusing on custom homes, additions and transformative remodels. 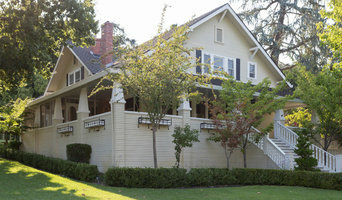 Her current projects include two estate homes in Calistoga and a hillside home in Sebastopol. A licensed architect for 20 years, Amy has honed her skills working with world class architects on award winning projects such as The Getty Center in Los Angeles and the Carneros Inn in Napa. We are a Full Service Architectural and Interior Design Firm, with over 30 years experience in residential furnishings, remodeling, additions and new construction. Our Philosophy of Design "From the Inside Out" stems from the fusion of interior design and architecture. Our Clients can expect total design, from concept through furnishings and artwork, with superior attention to every detail. Architectural Design Firm - I grew up just north of Chicago, IL - a city that influenced my belief in the importance of Architecture. I have since had the good fortune of living, working and studying in Europe, the Middle East and Asia. I feel that Architecture is best understood and pursued as the union of art, culture and technology. I bring this breadth of cultural experience to bear on all of my design projects. I seek design solutions that make sense for my clients and as a result, I'm comfortable working in multiple idioms of design - Contemporary, Traditional, some combination of the two; ultimately, I judge my work on how well it reflects my clients. In addition to Architecture, I have a passion for opera, traveling, the arts and history. I also coach a youth lacrosse team, and play in a men’s hockey league. Design What You Love. Ogle Design specializes in creating impactful and personal spaces through inspired design. We provide hand-crafted residential design. 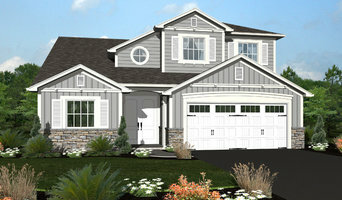 New homes, additions and remodels. Backed by 25 years of experience, Zimmerman + Associates has managed to maintain its small size and fundamental tenets while producing a diverse body of work, ranging from Northern California homes to progressive urban housing communities. The firm is located in Sausalito CA, amidst a community that reflects the creativity and collaboration present in its work environment. Approaching each project with site responsive design and attentiveness to its clients, Z+A consistently aims to create modernist architecture of the highest quality with a commitment to sustainability. Farrell - Faber & Associates, Inc.
building Lab is an award-winning firm specializing in thoughtful and highly refined residential design and building. We are passionate about modern architecture, dedicated to precision quality construction and committed to green building practices. Our clients come to us with visions of creating a perfect home for their family. This may mean locating an ideal plot of land in the community they love and building a dream home from scratch. This may mean fast-forwarding a tired mid-century gem into a stylish 21st century edition. It may also mean upgrading an older home with more current function + feel. Facilitating the process of bringing such dreams to reality is our mission at building Lab. To find out more about our processes, please call 510-420-1133 or email us at info@buildinglab.com with a brief description of your remodeling/home-building plans. We look forward to chatting and listening to your ideas. The bL Story: Skilled in carpentry at a young age, principal Stephen Shoup received his formal architecture training at UC Berkeley (M. Arch) and The Architectural Association in London. He started building Lab in 2001 based on his belief in a holistic approach to the design and building processes. With a team of talented designers and project managers, bL is involved in any number of residential categories: from new construction, whole-house remodel, addition, kitchen and bath, custom cabinetry, to master planning and landscape. In 2003, Stephen had the good fortune of purchasing a workshop from a well-known woodworker who was retiring and proceeded to develop a modern office compound that has become our headquarters today. Projects ranging from Silicon Valley to Wine Country, from urban San Francisco to open country in Saratoga, bay side homes in Tiburon to the neighborhoods of Menlo Park and Atherton, working with the best builders in California, designing new homes and remodels, both outside and inside, we provide a seamless start to finish process. Creating buildings and spaces for living and working that are simple, efficient and unique to the owners and problems that need to be solved. The solution is the coming together of all these elements, which can be modern with elegant proportions or a transition between traditional and contemporary that benefits both. Provided are full design services including extensive 3D modeling, planning and building department coordination, color, materials and lighting design, and construction supervision through project completion. Our process involves several builder pricing sessions until the design and cost are comfortable. Builders we work with are known by us to be reliable, proven and experienced in working with us, creating the details and familiar with the manufacturers and materials we utilize. Detailed time schedules are made to describe the project milestones so the process can be planned and controlled. With over twenty years of experience, our design team works within a system that ensures that clients’ goals are achieved, control over budget is maintained and the project moves forward in a logical, consistent manner. The design, permit, bid and construction process may seem dizzying—our goal is to create a manageable process with gratifying end results. Our knowledge of colors, materials, plumbing fixtures, hardware, doors and windows, appliances, lighting fixtures, give owners total control over the end result. Recommended is everything needed to move into the finished product. Each project has the potential to be co-creative and transformative in both the process and the outcomes. How can we connect to that potential, to move beyond the conceptualization phase? How can we help create a project that resonates with you? Drawing upon our experience and resources we aim to work with what could be. A sustainable community is best served by acting and trading locally. The cornerstone at ARC Design is to increase growth in the community by using local resources in our design projects. ARC is an acronym for Art, Resource and Craft. We have developed relationships with local artisans in a networked guild that encourages collaboration in the design and building process. The arts and crafts connect us to our cultural and regional diversity. We work to uncover and evolve the natural attributes of people and their environs to develop an expression of place to increase the vitality of any project. Our emphasis is utilize local networks, sources and resources whenever possible. We advocate efficient energy and technology solutions along with the use of reclaimed and recycled materials in building construction and furnishings. Some passive energy efficient techniques have been understood and practiced throughout the world for centuries. The nexus of sustainable solutions is bridging the past to the future. The work we do at ARC Design is collaborative and co-creative. The design world is based on trusted relationships and historical precedent. No one person or company can take credit for the designs they do. The great artists, designers and innovators of the past opened the doors and we stepped inside. So thank you to all those, too plentiful to name, for the delightful journey into the creative human spirit. Founded in 2003, Bevan + Associates specializes in custom residential homes for families, couples and developers. Based in the San Francisco Bay Area, projects span the entire country meeting the needs of clients both near and far. Overall aesthetic and "style" of work is modern feel, with the use of natural materials such as stone, steel, concrete, glass and wood. Our approach is that every home should feel like a vacation with a relaxed sophistication. Born and raised in San Francisco Bay Area, George Bevan attended the University of Oregon where he earned his Bachelor of Arts in International Politics, with a Minor in Planning, Public Policy & Management in 1996. Bevan moved on to complete his Master of Architecture degree at California Polytechnic University, Pomona in 2001. He was awarded the 2001 Medal for Excellence in the Study of Architecture by the American Institute of Architects. Work experience includes, a residency for Michael Folonis, FAIA in Santa Monica designing custom residential homes and mid-century modern restorations. 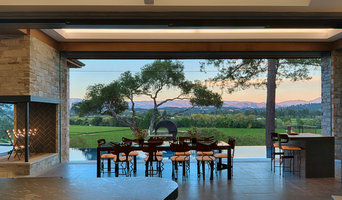 Sonoma County's Expert Residential Architect | Best of Houzz! Servicing throughout the Bay Area and specializing in Residential Building Design, Drafting and Project Supervision. Whether your project is small or large we can assist, contact us today for more information. I offer my expertise in design, construction management and construction to the Bay Area with my company geared for this current economy. A good home is never done, so ask yourself; "Do you like where you live"? If so, together we can look at the many possible improvements available to you, it all begins with a conversation.